Isn't what it's cracked up to be. To discuss the idea of becoming a writer we need to start by defining our terms. This fellow just wants to have fun. The hobbyist writes for their own edification. This type of writer has no intention of ever publishing or selling any of their work. They are writing, just for the pleasure it gives them. For them writing is merely a "hobby" like model trains, gardening, or playing gin-rummy. Nothing wrong with that. People do all kinds of things for a hobby. This fellow just wants security. He writes for money rather than for his own pleasure. Usually they work under contract. This fellow just wants to make a profit while writing what he wants to write. We'll come back to him in a moment. But for now lets explore this "Professional" way of becoming a writer in more detail. Because this kind of deal isn't what's it cracked up to be. Most "published" writers are working under one form or another of a "work for hire" contract. You'll see what I mean in just a moment. I know, you thought becoming a writer had to do with diagramming sentences or something equally as useless. But read on. Because before you can figure out how to become a writer you need to decide what kind of writer you want to be. There are two kinds of "work for hire" contracts. You have a job in some kind of company where you receive a wage or salary and your job is writing. It could be a newspaper, magazine or in this day and age you could be writing website copy. The other class of "professional" writer works on "spec". This is the category that the vast majority of published fiction and certainly non-fiction writers fit into. They work strictly on "consignment" so to speak. For the fiction and the non-fiction boys and girls it operates a little differently so let me break these out separately. For the non-fiction fellows it goes like this. They get an idea for a piece of work. Could be an idea for a magazine article or a how-to book. They do a bit of research and whip up a proposal and a sample and mail it off to the prospective buyer. Usually an editor who they hope will be interested in publishing their article or book. Assuming the editor (after some back and forth) accepts their proposal and sends them a contract. Now they are working under contract. The details vary but usually the writer gets something up-front with the balance due upon completion of the assignment. If it's a book there could even be some kind of "royalty" involved. Don't get too excited about this idea of "royalties" as you'll soon see they aren't so royal. The fiction writers have it a little tougher. A simple book proposal (of what they plan to write) wont due. They have to write the whole novel first and then send out proposals called "quarry letters" in hopes of finding an editor willing to even look at the completed manuscript. Fiction writers it would seem have a bad reputation for not finishing what they propose to write or having finished it, the novel is often not what the editor envisioned. So, editors are reluctant to front any money, until they have the finished manuscript in hand, and they've had a good long while to read it. Are you beginning to see that becoming a writer isn't quite what you thought. Now it gets really interesting. Pay close attention here; because this is where we're going to talk about the money. Hopefully your money. In both of the above cases the publisher will offer the writer a contract. The language varies all over the place. Forget any idea of their being a "standard" publishing contract. The only thing that any of these publishing contracts have in common is that they are all extremely one sided. Everything for the publisher and as little as possible for the writer. Now, technically any contract is negotiable. But the vast majority of writers are so happy that someone is offering to publish their work that they'll sign without any advice from an attorney let alone negotiation. In exchange for the giving up all rights (virtually forever) the author gets a very small sum of money (averages $5,000) and a promise of a "royalty" in the future after sales of the book have covered the publishers cost. Only 20% of published books manage to cover the publishers cost. So for 80% of the writers who get published that small (advance against future royalties) is the only money the writer will ever see. I know, about now you're thinking this idea of becoming a writer just gets worse and worse - but stick with me to the end and I'll show you where the real money and freedom is. The book will be out of print by about a year before the publisher gets around to making a final calculation regarding the writer's royalties. Add to this the fact that it will usually be over a year, after the manuscript is accepted and the advance is paid, before the book even hits the book stores. And now it gets real sad for the "Professional Writer." If you go through all the accounting and add up all the numbers the Book Store that sold the book made about 50% of the list price, the Publisher made about 30% and the writer made less than 20%. 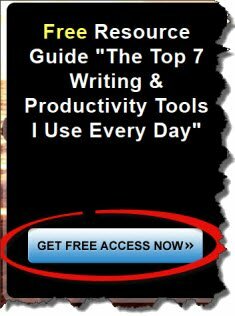 The writer does 80% of the work but only gets 20% of the money. So, rather than "becoming a writer" here's my advice. Forget about becoming a writer and instead become a businessman who is in the business of publishing and selling books - specializing in books that you yourself write and publish, of course. That way you become your own best customer. You will still have costs. But they will only be 30-45% of the gross sales price of each book. Which you only pay when you sell a book. And you're still making a great deal more than under any "work for hire" contract with a NY publisher. It cost nothing to publish an ebook. Yes, I said nothing, nadda, zilch; as in zero. Your book will never be out of print - rather than here today and forever gone three months later. You will get your money right away, not two years after the sale. The publisher will never screw up your cover. The editor will never demand that you change something because someone (you'll never find out who) doesn't like it. And I almost forgot. You don't need any blood sucking, worse than useless "literary agent", either. Who'll take 15% or more and screw up your book, you life and any publishers contract they get their hands on. And no, I'm not suggesting you pay money to a Self-Publishing company. That's an oxymoron and financially stupid. And you sure as hell don't want to give any "self-publishing company" a percentage of your book. That's just adding insult to injury. If you're thinking about becoming a writer, then do it right. You already own the most powerful mass publishing tool since Gutenberg - a computer with an internet connection. So why do you need to sell your soul to a NY publisher? Ok, now your thinking; But what about the cover and how do I format my manuscript for all those ebook distributors like Amazon, Apple, Barns & Nobel, etc.? As I said, you already have everything you need. A computer, MSOffice, and the internet. Do some research. All the information you need is out there. It's really almost too simple to even write an article about. Sure, you have to learn some stuff. You had to learn how to walk too. But you made it. It didn't kill you. Well, you tell me. You can worry about becoming a writer, who does all the work for peanuts or you can become an Author/Publisher who does all the work for 70-80% of the money and has the all the control and freedom to not only write what they want but to publish it. You don't have to ask anyone's permissions. You don't have to send out query letters begging for someone to approve of you or your book. Just; write it, publish it, and write another one. Back to top of "Becoming a Writer"